OREGON has one of the greatest varieties of landscapes, from high desert to wild coastlines to dense old-growth forests. The number of great places is impressive because as soon as you’re outside any city you are faced with seemingly untouched natural areas. The quality is at its best, because low population, respectful people sensitive to environmental wellness, and environmentally-friendly policies help preserve what the land has to offer. There are many secluded and lesser-known natural destinations that are truly beautiful. Here are nine. 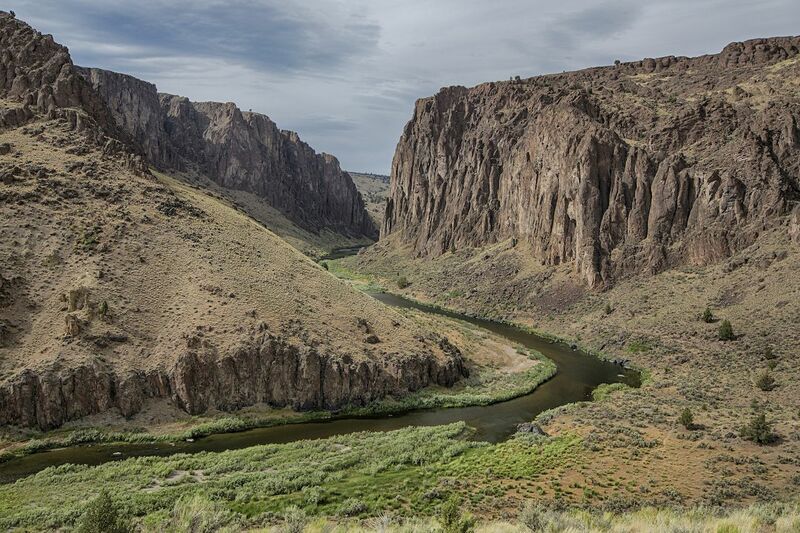 The Owyhee River is in Oregon’s very south-eastern tip, one of the least visited areas of the state and, therefore, one of the most pristine. The river created the Owyhee Canyonlands by cutting deep canyons with cliffs up to 1,000ft high in the high desert landscape. You can see red rocks and green shrubs for miles — or if you are boating the river, until the next bend of the canyon blocks your view. Click here to know how to get there. It is called the Blue Pool for its clear, calm and gem-like waters. 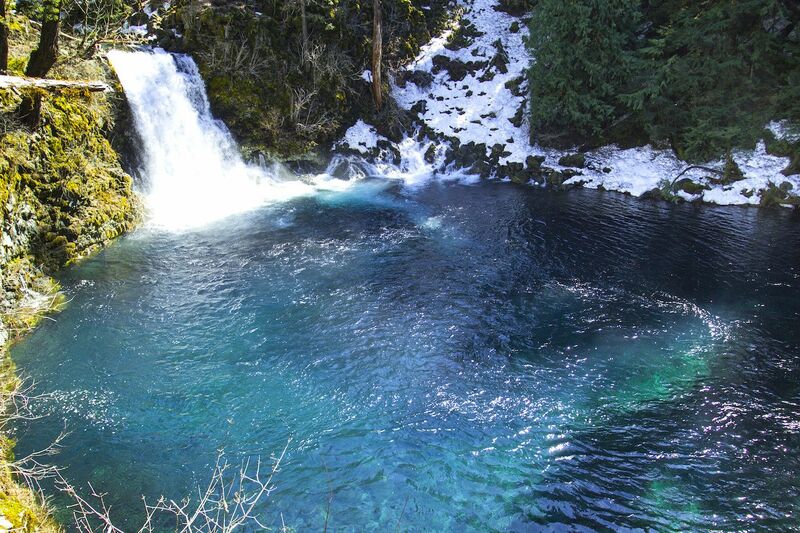 The pool is formed by the waters of the McKenzie River seeping up through lava rock. The Pool is surrounded at the very edge by either overhanging rock walls or tall trees. It feels private and quiet. The hike there is not long but you need to know the right trail, which is narrow and crosses old wooden bridges. 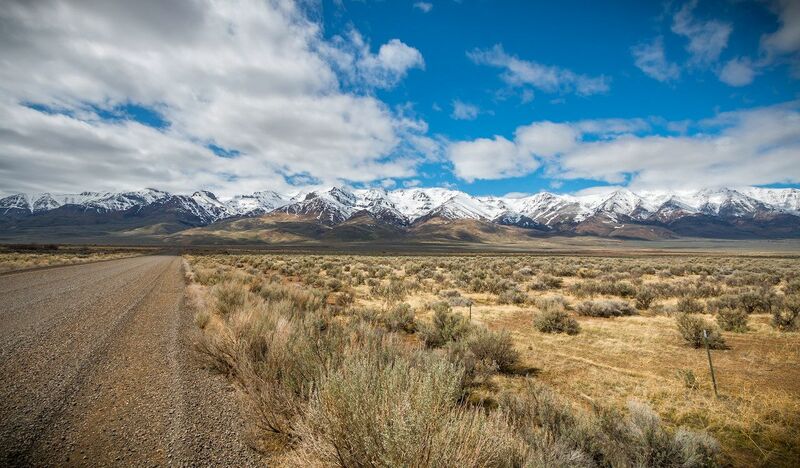 The Alvord Desert lies west of the Owyhee River, with towering Steens Mountain as its backdrop. The desert is a flat, crumbled-earth expanse, the remains of a deep lake from ages ago. 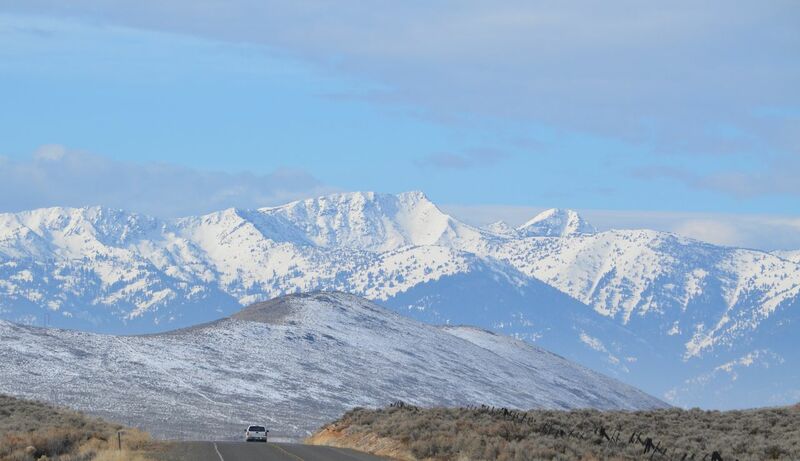 The desert’s emptiness contrasts with the high-desert landscape right at its boundaries and the snowy peaks of Steens Mountain. The light show known as ‘The Happening’ makes this spot one of the most unique in Oregon. If you’re lucky, you’ll be here with the right conditions for the sun to create a new colorful world reflecting in the sky, on the ground, and all around you. This spot can be accessed by an inland trail from the US-101, if you look for Floras Lake State Park. Clear direction signs have only recently been put up. 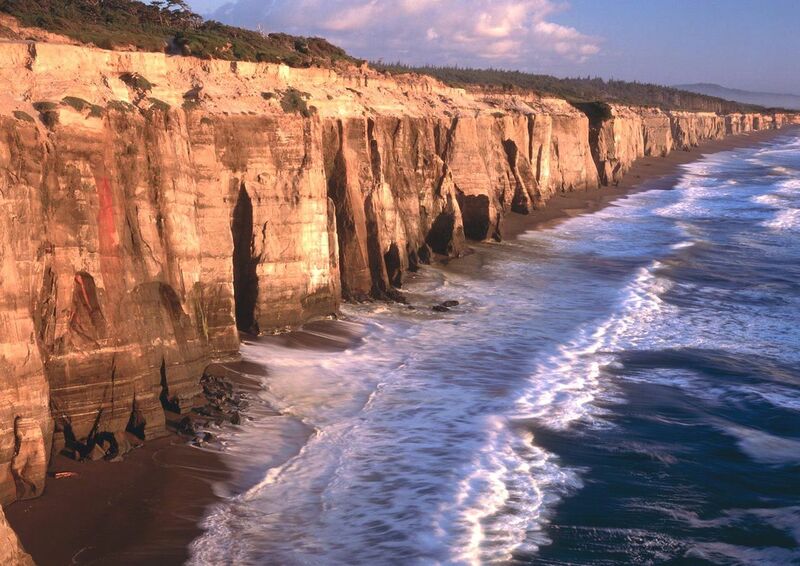 From the Point there is an unobstructed long-range view of the cliffs which characterize this stretch of coast. They fall straight down to a narrow strip of sand battered by the wild Pacific. The beach trail can be hiked, but only at low tide. When the tide is changing and the fog rolls in from inland, the view is quite eerie. 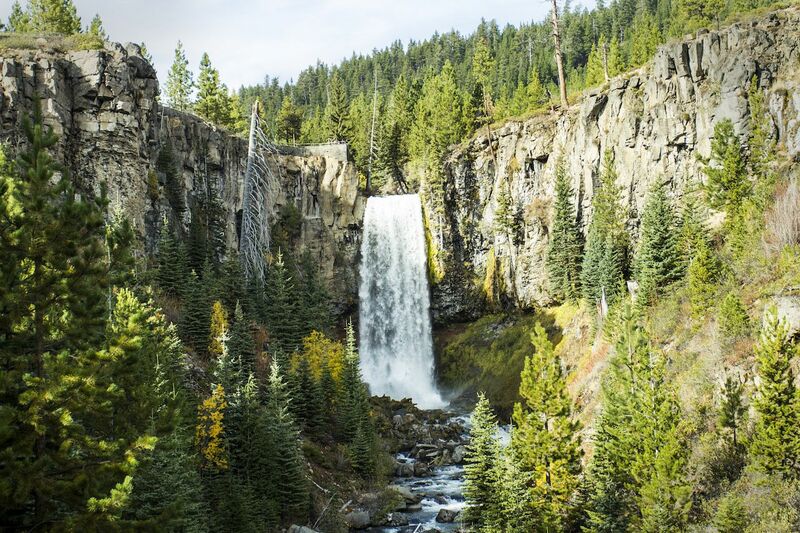 The Falls are between Bend and Mt. Bachelor, off the Cascade Lakes National Scenic Byway. They are reachable by trail, but you won’t see them until you are on top of them or below them. They seem to appear out of nowhere, hidden behind the thick forest of jutting trees. It looks as if the Tumalo Creek riverbed collapsed 97 feet below, creating a hidden arena. 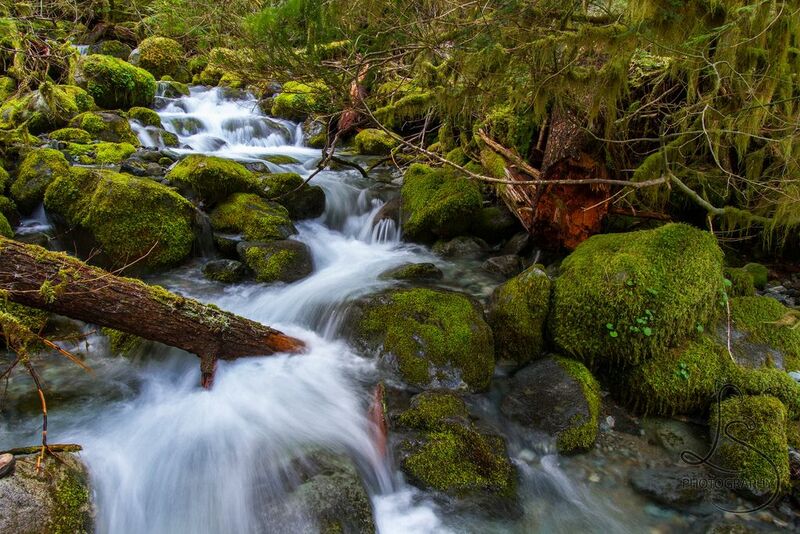 Just north of Detroit Lake, Opal Creek flows through a rugged landscape characterized by dense forest and humid thick undergrowth that is a signature of Oregon’s forests. Follow the clear cold Creek, going west. You’ll pass several lakes and up to 50 waterfalls. The Opal Creek Valley forms the largest intact stand of old growth forest in the Western Cascades, with towering centuries-old Douglas firs. Through the thick canopy, you might spot some giants standing high above the already tall forest. 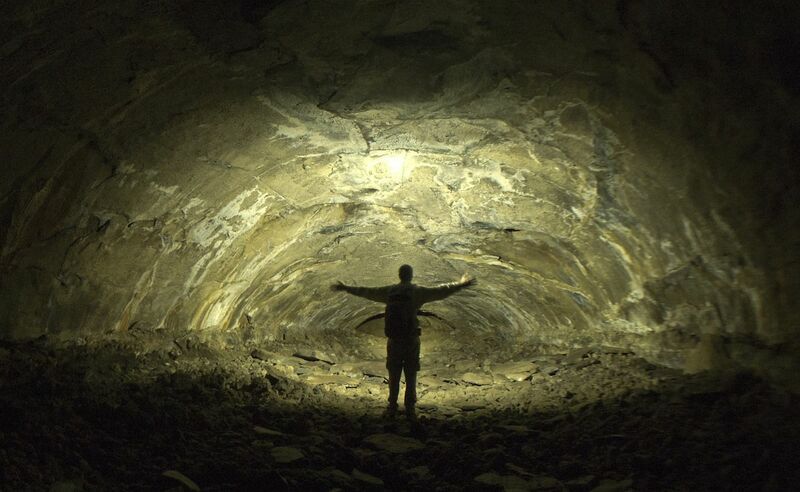 The entrance of the Cave is an opening in the ground south of Bend. The floor sharply drops down right away and the trail disappears in the darkness. This is the longest intact lava tube in Oregon. The tube’s shape stays roughly the same throughout. The interesting spot, about halfway, is the Sand Garden, where volcanic ashes and silt are brought in by seeping water, forming spires and pinnacles. 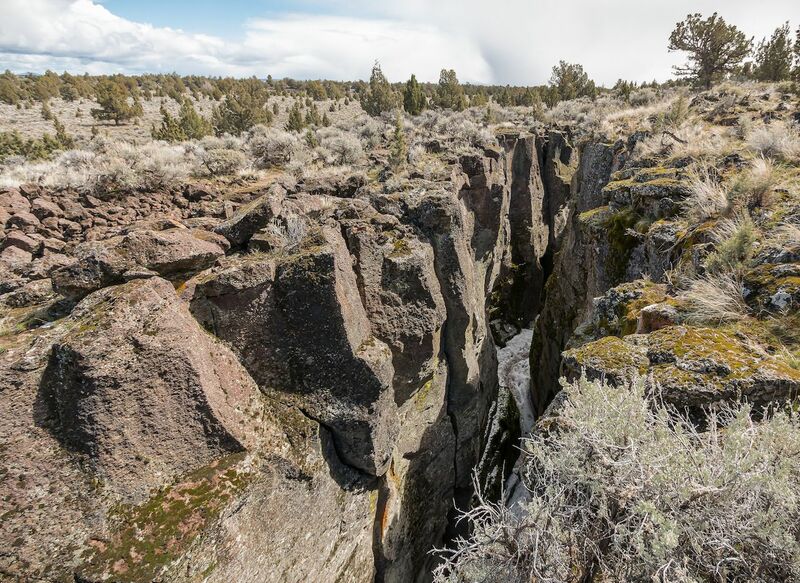 Crack in the Ground is in central Oregon in the middle of an expanse of high desert. This landscape feature is a narrow, 2-mile long volcanic fissure with varying shape, depth (up to 70-foot), and width. Once inside, the temperature can drop several degrees in just a few steps. The rock walls resemble pieces of a jigsaw puzzle, matching perfectly the opposite side. Inside and outside the Crack, it’s almost completely silent, although you might hear the occasional bird or rodent. The Wallowa Mountains are one of the Seven Wonders of Oregon, but given this mountain-range size, its remote location (the north-west corner of the state), and other nearby more-known destinations (Snake River and Blue Mountains), you can hike all day without meeting many people, if any at all. The peaks are snow-covered often and for long periods of time, creating a visual contrast with the many different shades of green of the valley.